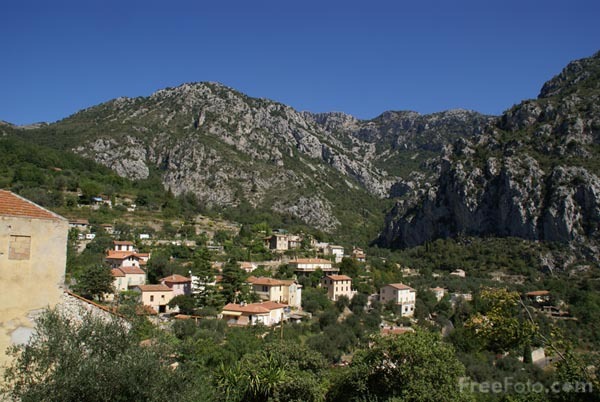 Picture of Gorbio on the French Riviera, Cote d'Azur. The ancient village of Gorbio is perched on a hilltop forested with olive groves and surrounded by rocky mountains. VIEW: More images from the category Gorbio or taken at the same location or around the same time .